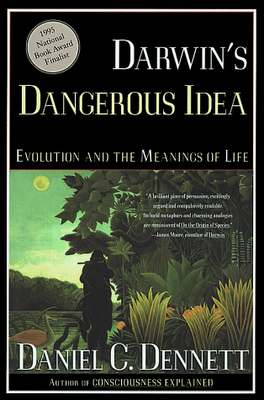 Several times in Darwin's Dangerous Idea, the author Daniel Dennett discusses religion in order to argue that it is incompatible with Darwinian evolution. However, he tries to portray himself as a reluctant convert to this position. He begins and ends the book with a hymn and claims that it is "a song which I myself cherish, and hope will survive 'forever.' I hope my grandson learns it and passes it on to his grandson." I'm afraid I simply don't believe him. The space in between the beginning and end of his book indicates that Dennett has nothing but contempt for any and all religious conceptions. He's playacting, trying to portray himself as the loving parent who very reluctantly tells his less knowledgeable children that Santa Claus doesn't exist. But Dennett obviously delights in mocking religious ideas and those who would take them seriously. There is no such thing as a weeping iconoclast. 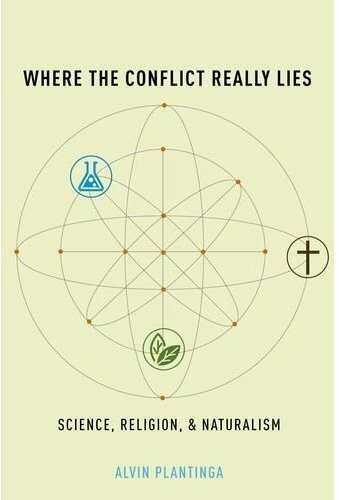 One particular passage stands out, partially because Alvin Plantinga has recently commented on it in his book Where the Conflict Really Lies, writing that "I'm sorry to say this is about as bad as philosophy (well, apart from the blogosphere) gets." So I would like to take a closer look at it. Dennett's passage is below, in red font, with my comments interspersed (like I did here). Note that by doing so, I am, however, putting it on the blogosphere and therefore Plantinga's qualifier is no longer necessary. In the passage, Dennett is specifically discussing the origin of genetic information. This, allegedly, cannot be explained in a Darwinian fashion, since evolution only comes into play once this information is already in place. It is a precondition for evolution, and so cannot itself be explained by evolution. (Again: allegedly.) The probability that all of the parts that make up the simplest possible living being is so remote that it is effectively impossible by natural processes. The probability is Vanishing indeed -- next to impossible. First point: Dennett decides to capitalize the words Vast and Vanishing in order to draw attention to them. I found this a little silly. He also uses the word "kazillion" a disturbing number of times. And it looks at first as if the standard Darwinian response to such a challenge could not as a matter of logic avail us, since the very preconditions for its success -- a system of replication with variation -- are precisely what only its success would permit us to explain. Evolutionary theory appears to have dug itself into a deep pit, from which it cannot escape. Surely the only thing that could save it would be a skyhook! "Skyhook" is Dennett's name for any mind-first argument or claim, in contrast to a "crane" which explains things in a matter-first manner. Anything that ultimately suggests that mind precedes matter -- even if it only suggests it to Dennett -- is a skyhook, and such explanations are ruled out of court a priori. Of course, Dennett doesn't say this, since it would be inconsistent on his part, but he makes clear that any such explanation is disallowed, regardless of whatever merits it may have. Of course, calling such explanations skyhooks is an attempt to mock the very idea. The imagery he compares it to is deus ex machina solutions, where some god swoops in from on high (the sky) and solves the problem with a wave of his or her hand (the hook). What follows is an extended quote from Dawkins's The Blind Watchmaker, wherein he makes a similar argument to what he spends an entire chapter on in The God Delusion. Maybe, it is argued, the Creator does not control the day-to-day succession of evolutionary events, maybe he did not frame the tiger and the lamb, maybe he did not make a tree, but he did set up the original machinery of replication and replicator power, the original machinery of DNA and protein that made cumulative selection, and hence all of evolution, possible. This is a transparently feeble argument, indeed it is obviously self-defeating. Organized complexity is the thing we are having difficulty explaining. Once we are allowed simply to postulate organized complexity, if only the organized complexity of the DNA/protein replicating engine, it is relatively easy to invoke it as a generator of yet more organized complexity. ... But of course any God capable of intelligently designing something as complex as the DNA/protein replicating machine must have been at least as complex and organized as the machine itself. I suspect that, at this point, Dennett may regret having sanctioned Dawkins's argument as it has been sent through the ringer in devastating fashion since the publication of The God Delusion. I have heard it referred to as one of the worst arguments every posited. To just make one point that I've made before (here and here): traditionally the God of monotheism is conceived as being the simplest of all beings. In fact, this has been one of the central doctrines throughout Christian history: divine simplicity. It's not as accepted among philosophers of religion as it used to be, but even those who reject do not claim that God is complex, only that he is not as absolutely simple as was traditionally argued. Dawkins -- and Dennett by proxy -- are completely unaware of this major doctrine. Since a material intelligence is composed of many parts, and is therefore complex (in a sense), they assume that an immaterial intelligence must also be complex -- and the greater the intelligence, the greater the complexity. It's difficult to take this seriously: what are the parts that an omniscient God would be composed of? Is he composed of an infinite number of God-bits? Isn't it obvious that the issue of complexity does not transfer over from material beings to immaterial beings? Of course, Dawkins and Dennett would deny that an immaterial being (much less an immaterial intelligence) could exist, but that's irrelevant. The point they are trying to make here is that the traditional concept of God as an immaterial intelligence requires said God to be more complex than what it explains, and this is obviously false. Dawkins and Dennett don't understand what they are criticizing. They simply don't have enough information to justify even having an opinion, much less expressing it as vociferously as they do. It's not evident that evolution explains in general how organized complexity can arise out of primeval simplicity. Evolution is about biological organisms changing with respect to time. Dennett (and Dawkins) extend it into non-biological realms. Of course Dennett doesn't just assume this, he explains at length why he thinks this is a valid procedure, but it should be noted that it's a very contentious point. And Darwin certainly did not apply it this way: indeed, Darwin thought "the Universe is not the result of chance." What follows is a quote from an earlier essay by Dennett that was republished in Brainstorms. Darwin explains a world of final causes and teleological laws with a principle that is, to be sure, mechanistic but -- more fundamentally -- utterly independent of "meaning" or "purpose". It assumes a world that is absurd in the existentialist's sense of the term: not ludicrous but pointless, and this assumption is a necessary condition of any non-question-begging account of purpose. Whether we can imagine a non-mechanistic but also non-question-begging principle for explaining design in the biological world is doubtful; it is tempting to see the commitment to non-question-begging accounts here as tantamount to a commitment to mechanistic materialism, but the priority of these commitments is clear. ... One argues: Darwin's materialistic theory may not be the only non-question-begging theory of these matters, but it is one such theory, and the only one we have found, which is quite a good reason for espousing materialism. I haven't read this essay in its entirety, but Dennett brings the issue of question-begging explanations into play in Darwin's Dangerous Idea. Skyhooks are question-begging and cranes are non-question-begging. In the quote above, mechanistic explanations are (or at least can be) non-question-begging, while non-mechanistic explanations are not (it is "doubtful" that any such explanation is forthcoming). This is of a piece with Dawkins's argument: to explain the emergence of the organized complexity that is mind by appealing to a primal mind is question-begging since it uses the very concept that we are trying to explain. 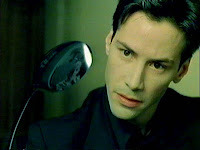 A non-question-begging explanation would not appeal to the explanandum as explanans. Unfortunately for both of them Plantinga absolutely nails them on this. Mind is only the explanandum given materialism. The whole claim of theism is that mind comes first, and is the explanation of matter. Since mind is primal, there can be no explanation of it. Of course, there can be an explanation of a particular mind (especially of a mind that is composed of matter), just so long as it is not the primal mind that explains everything else. Perhaps theism is wrong about this, but Dennett and Dawkins haven't given us any reason to think so. Rather, they have assumed that mind comes after matter and so is what must be explained. They have assumed that theism is false in order to argue that theism is false. In other words, their account is question-begging -- exactly what they are accusing theistic explanations of being. This is an astute objection. Dennett is assuming that theism is functioning as a scientific hypothesis, which stands or falls according to its explanatory power (and other factors). But of course, most believers do not believe in God because of its explanatory power. Some may use the concept of God in an explanatory way, but even then, the alleged explanatory power is not why they believe in God (for a vaguely similar point, see here). Dennett also makes an interesting statement here: "the standards of science in particular and rational thought in general." Failing to meet the standards of science does not mean that something fails to be rational. Science is a subcategory of rationality. To insist that theism must meet scientific standards is to ignore this distinction. I say this is interesting because Dennett is going to ignore this distinction, the very distinction he just made. Dawkins and I are ignoring the very widespread claim by believers in God that their faith is quite beyond reason, not a matter to which such mundane methods of testing applies. It is not just unsympathetic, he claimed, but strictly unwarranted for me simply to assume that the scientific method continues to apply with full force in this domain of faith. Testing is the hallmark of scientific knowledge, but it is not the hallmark of "rational thought in general." One reason for this is that the suggestion that testing is a requirement for all rational thought is not itself testable and so fails to be rational. The suggestion is self-referentially incoherent. Very well, let's consider the objection. I doubt that the defender of religion will find it attractive, once we explore it carefully. The philosopher Ronald de Sousa once memorably described philosophical theology as "intellectual tennis without a net," and I readily allow that I have indeed been assuming without comment or question up to now that the net of rational judgment was up. But we can lower it if you really want to. Here it becomes obvious that Dennett is confused. He is apparently thinking that if something cannot be supported by purely rational considerations it is therefore not rational. But, as C. S. Lewis put it in Miracles, "Reason knows that she cannot work without materials. When it becomes clear that you cannot find out by reasoning whether the cat is in the linen-cupboard, it is Reason herself who whispers, 'Go and look. This is not my job: it is a matter for the senses.'" When theologians and philosohers of religion say that faith is "beyond" reason, they are saying it in the same way that knowledge of the cat's presence in the linen-cupboard is beyond reason. To say it's beyond reason is not to say that it contradicts reason. There's nothing contrary to reason about the cat being in the cupboard. It is not irrational, it is just not something that we argue to on purely rational grounds (given a particular definition of "rational"). There are other elements involved. That's all. And of course, if he weren't so dead-set on mocking faith as irrational, Dennett would agree to this. His philosophy is heavily indebted to science, and science is empirical, it requires information beyond reason, where we have to "Go and look." It's your serve. Whatever you serve, suppose I return service rudely as follows: "What you say implies that God is a ham sandwich wrapped in tinfoil. That's not much of a God to worship!" So if something is beyond reason, it is completely arbitrary, "and anybody can say anything." But we can imagine Dennett responding to an evolutionist in the same way, since evolution, again, is not a matter of pure reason, but something we have to deduce from observation: we have to "Go and look" to see if it is true. This also raises a point I've made before and will probably make again: supernatural explanations are not necessarily ad hoc or contrived. Often they are, no doubt. But not always. The idea here is that if we are allowed to appeal to supernatural causes, it would be a slippery slope, since we then could appeal to them in any situation to explain anything and everything. But if we have specific reasons for positing a supernatural cause or explanation, then it isn't ad hoc, whatever other failings you may think it has. So it's not a slippery slope to allow supernatural causation to have a seat at the table. Dennett doesn't say that it is, but I suspect it was at the back of his mind since it's a common enough claim (but of course this is speculative on my part). a mug's game if there ever was one. I have been giving you the benefit of the assumption that you would not waste your own time or mine by playing with the net down." You know, the thing that irritates me most about this is that Dennett's whole project is the reduction of rationality to nonrational forces. He wants to explain mind entirely and exclusively in terms of the nonrational functioning of the brain (its physical, neurological, material elements). In so doing he is evacuating rationality of its rational force. This is emphatically not the same thing as allowing extra-rational considerations come in, for the latter suggestion does not remove reason from the game, it just adds other players. Dennett, however, is removing reason. For him to turn around and accuse those who make a significantly more modest point than his of being as radically irrational as his tennis analogy makes out is just hypocritical. I recently heard Dennett give a lecture on Alan Turing, where he said Turing's genius was in recognizing that a rational act is composed of a bunch of smaller acts which are not themselves rational (nor are they irrational; they just don't take any degree of rationality to perform). He said that, prior to Turing, we assumed that comprehension comes before competence, that in order to be competent at something one had to comprehend what one was doing. But, Dennett argued, Turing showed us that it goes the other way: competence comes before comprehension. This is very consonant with Dennett's conception of evolution. We don't figure out how to survive and procreate before we actually do survive and procreate. We don't learn to behave in certain ways, we just do, and the behaviors which were beneficial were selected -- more strictly, propensities towards behaviors were selected -- and those that were not beneficial were not selected (generally speaking). Thinking that comprehension comes before, and leads to, competence is to appeal to a skyhook. He took a few questions after his lecture, and I was fortunate enough to be able to ask one of them. I said if competence comes before comprehension, then why would comprehension ever arise? You have everything you need, everything evolution would select for, with just the competence. He responded by appealing to sociobiology, saying that at a certain point, consciousness arises (and makes civilization possible) because some things are difficult or impossible to achieve competence in without comprehension of it. I found this answer very unsatisfactory. Certainly, consciousness does have this effect, but I don't see how Dennett has the epistemic right to appeal to it. His whole point was that we don't have to appeal to consciousness and the comprehension that comes with it in order to account for competence. To simply jump ahead to comprehension and work back to competence when it suits him, when it becomes difficult to explain competence without it, is to appeal to one of those skyhooks he otherwise decries. I still don't see the answer to my question: if Dennett is right that competence precedes comprehension, why would comprehension ever arise? My general impression of Dennett's lecture is that he's a performance artist. Just as he reveals himself to be playacting in his writings, so he revealed himself to be playacting in his speech. I found it impossible to accept the character he presented in his lecture as his actual persona. Of course I could be wrong; I may have been biased by reading accounts like this. But completely independent of his philosophical positions, the man strikes me overwhelmingly as a sophist. Anyway, to return to my main point, Dennett is arguing that rationality consists of behaviors that are not chosen for rational reasons. For him to then mock his interlocutors as playing tennis without "the net of rational judgment" in place is a bit much. By his own standards, there is no net. Now if you want to reason about faith, and offer a reasoned (and reason-responsive) defense of faith as an extra category of belief worthy of special consideration, I'm eager to play. In fact, this is the whole point of Plantinga and others. Plantinga's first book, God and Other Minds, compared belief in God to belief in other minds, and argued that the objections to one would apply equally to the other. Since you'd have to be a lunatic to deny the existence of other minds, the objections to belief in God don't work either. In Warranted Christian Belief (which he says functions as a sequel to both God and Other Minds and Warrant and Proper Function) he argues that there is a cognitive faculty, the sensus divinitatis, that causes us to immediately (i.e., non-inferentially) form beliefs about God when faced with certain circumstances. In the same way, we form beliefs about the physical world when faced with certain circumstances: I see a tree before me and form the belief, "There's a tree." I don't reason to this belief -- my senses indicate that a tree is before me; my senses are generally reliable; therefore there is probably a tree before me -- I just immediately form the belief. In fact, it would be irrational if I didn't. Of course, Plantinga may be wrong about this, but that has to be argued. Dennett doesn't even address it. You can't give a reasoned ground for taking sensory beliefs seriously as a way of getting to the truth. Or memory beliefs. Or belief in other minds. (Or reason.) In order to give a reasoned ground for taking sensory beliefs thusly, you would have to have evidence that your sensory beliefs are generally reliable. But how could you get such evidence? Because other people corroborate what your senses tell you? But you only know that these people are telling you, "Yes there's a tree in front of you" if your sensory beliefs are reliable. In other words, you have to presuppose that your sensory beliefs are reliable in order to obtain evidence that your sensory beliefs are reliable. The point being that such beliefs are innocent until proven guilty. We do not have to provide evidence that they are reliable before we take them to be reliable. The burden of proof is on the one who demands that these beliefs be established via reason before they be taken to be reliable. Otherwise you get caught in an infinite regress: you have to have a reasoned ground that some class of beliefs is reliable; but then you have to have a reasoned ground that the reasoned ground in question is reliable; and then a reasoned ground of the reasoned ground of the reasoned ground; etc. The claim of Plantinga, Alston, Wolterstorff, and others is that belief in God is in a similar position. It is innocent until proven guilty, and so the believer does not have to provide a reason for believing in God, anymore than she has to provide a reason for believing that there are other minds or that the physical world exists. This is a controversial claim, but again, Dennett doesn't even address it. and not, say, just as a way people comfort themselves and each other (a worthy function that I do take seriously). Again, I don't mean any disrespect, but I simply don't believe Dennett considers this a worthy function or that he takes it seriously. But you must not expect me to go along with your defense of faith as a path to truth if at any point you appeal to the very dispensation you are supposedly trying to justify. Why not? I expect him to go along with my defense of sensory beliefs and memory beliefs as paths to truth, even though they cannot be established by appeal to reason alone. Putting religious beliefs into the same category as these other beliefs is certainly controversial, but Dennett doesn't give us any reason to think that there is a category at all. Since his philosophy is dependent on science and science is dependent on observation, which cannot be established by reason alone, this is inconsistent. Before you appeal to faith when reason has you backed into a corner, think about whether you really want to abandon reason when reason is on your side. "Abandon reason"? Who's abandoning reason? Am I abandoning reason when I realize that I have to "Go and look" to see if the cat's in the cupboard? Once again we see that Dennett is just confused about what the claim is: there is nothing in reason that tells us that we must rely exclusively on reason and not also on, say, our senses or memories. Indeed, it would be unreasonable to to reject these sources of information. You are sightseeing with a loved one in a foreign land, and your loved one is brutally murdered in front of your eyes. At the trial it turns out that in this land friends of the accused may be called as witnesses for the defense, testifying about their faith in his innocence. You watch the parade of his moist-eyed friends, obviously sincere, proudly proclaiming their undying faith in the innocence of the man you saw commit the terrible deed. The judge listens intently and respectfully, obviously more moved by this outpouring than by all the evidence presented by the prosecution. Is this not a nightmare? Would you be willing to live in such a land? This, and what follows, are what Plantinga called "as bad as philosophy gets." I think Plantinga's overstating the case. Dennett is certainly guilty of extremely sloppy thinking -- of not playing with the net up -- but philosophers have blind spots just as much as laymen do. I suspect that since Plantinga has been engaged in this subject for the last half century or so, he doesn't suffer a fool who comments on it in ignorance. I don't really need to say anything more about Dennett's story about the murder trial. It's premised on the idea that reason is the only source of justified or warranted beliefs, something which Dennett himself would never accept since he believes a) our senses are a source of justified or warranted beliefs, and b) reason can be entirely explained in terms of nonrational factors. Well, I can say this: he points to sources of beliefs (mere emotion, sentimentality) that are not reliable. But the jump from "not all extra-rational sources of belief are reliable" to "no extra-rational sources of belief are reliable" is not a valid move. And this should have been obvious to him. Or would you be willing to be operated on by a surgeon who tells you that whenever a little voice in him tells him to disregard his medical training, he listens to the little voice? What if the surgeon disregarded his medical training because of sensory beliefs? For example, he sees that the person's heart is in the right side of his chest instead of the left side. Would you want a surgeon who, when faced with such a scenario, continued to operate as if your heart was on your left side instead of your right? To ask this question is to answer it. I know it passes in polite company to let people have it both ways, and under most circumstances I wholeheartedly cooperate with this benign arrangement. Dude, seriously? No you don't. You revel in holding people's feet to the fire. You delight in mocking people who dare to disagree with you. But we're seriously trying to get at the truth here. Once again, we see the pose: "I don't want to have to say what I'm about to say, but the seriousness of the matter compels me to." You know who else writes like this? Flat-earth creationists. I've quoted flat-earthers before who insist -- insist -- that they are merely following the evidence where it leads and they are just "seriously trying to get at the truth." That's what you say when you know you don't really have the truth, but want to manipulate people into agreeing with you regardless. I'm not sure exactly what the issue is that no philosopher "has ever come up with a good defense of." If he means no philosopher has come up with a good defense of the compatibility of science and faith, this is obviously false. If he means no philosopher has come up with a good defense of faith-beliefs, such as that God exists, this is also false. Dennett may not think these arguments are successful, but he has not even told us what they are, so we (his readers) cannot tell whether the defenses in question are good or not. On the other hand, if he means no philosopher has come up with a good defense of the claim that there are extra-rational sources of belief (like our senses) that are perfectly valid, then this may be true, but it is irrelevant, since the claim is that we don't have to defend such sources. (Although the claim that we don't have to defend them has been extensively and adroitly defended.) If he means no philosopher has come up with a good defense of measuring your words and not challenging people's dearly-held beliefs when there is no need to do so, then this may also be true but irrelevant, since I don't see how common courtesy is a philosophical subject. Because . . . why? Do all the cosmological arguments fail? Why and how? Do we have to defend our senses and memories as valid sources of beliefs before we can trust them? Why, and how does Dennett avoid the infinite regress? You are kidding yourself because you disagree with Dennett, and nevermind why. Holy crap. Really? Does Dennett really think this? It's not only an unsuccessful argument, it is an obviously unsuccessful argument. It is question-begging (as Plantinga shows), it is premised on conditions that no form of theism accepts, and that's just the tip of the iceberg. as devastating today as when Philo used it trounce Cleanthes in Hume's Dialogues two centuries earlier. Hume's Philo lost that debate. Moreover, I'm not confident that Dawkins's argument is all that similar to Philo's. I'd have to reread Hume first though. A skyhook would at best simply postpone the solution to the problem, but Hume couldn't think of any cranes, so he caved in. Right, because Hume was known for caving in. Dennett is accusing David Hume of not being as intellectually bold as himself (just like he accuses other materialists like Fred Dretske). Moreover, the "problem" that a skyhook would not really solve is only a problem given materialism. And of course, we are not given materialism. I'll stop the quote here and just reiterate a point I made above: Dennett is so ignorant of the subject he is pontificating on that he has no business even having an opinion about it. He doesn't have the first clue about the subject, and his "reasoning" about it is so faulty, so sloppy, so transparently feeble, that it should embarass him. Although I doubt it will.